The Next Highlight @ 2uo Club ! Be ready for this fantastic Line up. 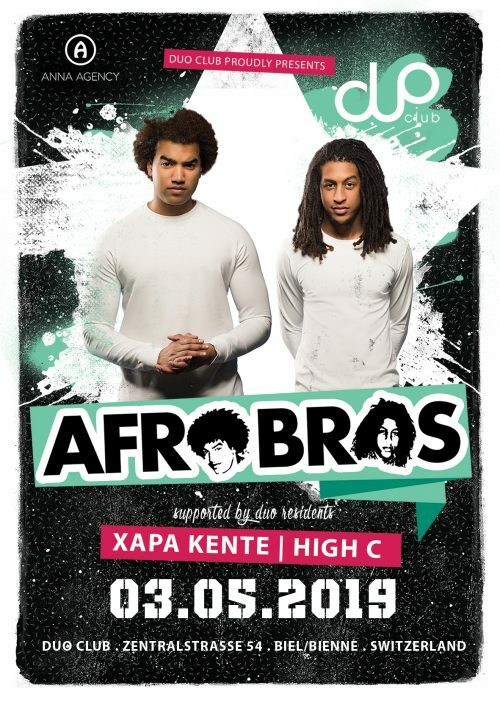 Giordano Ashruf & Rashid Badloe, better known as the “Afro Bros”, are a dj-duo based in Arnhem, The Netherlands. They are signed to Spinnin’ Records. They are family related and both grew up in a very musical family. They both started working as promoters for electronic dance parties in their hometown Arnhem. After a little while they started thinking: “why aren’t we standing in the DJ booth?”. From that moment on they started developing a fanbase with their unique uplifting sounds and beats that they played throughout the whole country. They set goals and made all those come true in a very short time. It wasn’t long before they were playing in all the clubs and big festivals within The Netherlands. After 5 years of performing all over the world, they decided to do something different. In 2016 they released a Dutch track “18+” that also got a Spanish version. The Spanish version has almost got 2 million streams on Spotify. After the release of that track, the Afro Bros only got bigger and better. They are on a hit streak and are hoping to continue their streak. With their original sounds, unique drums and 10 years of experience, these guys, two young men, are ready to take over the world with Latin beats and uplifting vibes. You may know them from hits like: Energie (with Ronnie Flex & Frenna), Sua Cara (with Major Lazer), Come Again (with Boef & Ronnie Flex), X (with J Balvin & Nicky Jam), Kijken Mag (with dutch YouTube channel “Supergaande”) and many more to come! With their most recent release “So Much Love”, together with Charly Black and Stevie Appleton, they want to establish a new movement and conquer the world with their music. With “X” hitting 160 million views on YouTube within 2 weeks it’s heading to the fact that 2018 will be the year for the Afro Bros. In 2018 they already released 1 EP and 4 tracks and in 2019 there is so much more to come! Afro Bros is bringing out various music styles and genres like: Latin House, Afro House, Moombahton, House and Urban. With that combination, a whole new world opened up for the Afro Bros.They made their first track called “Dubbelfris” that started their original sound. Soon after they started getting gigs throughout the whole country, their career started to get to a new level.